Typical server farm, processing and storing data for numerous companies. In today’s technologically dependent business world, the collection of sensitive consumer information comes with the need for added data security. It’s the responsibility of claims departments utilizing insurance transcription services to only use appropriately vetted vendors. But what matters, what should you look for, and how can you ultimately know you’re working with a company you can trust? Here are a few things to consider. Why Does Data Security Matter in the Insurance Claims Process? Consumer identity theft is at an all-time high and companies are suffering financially from it. According to published statistics, data breaches cost firms an average of $5.4 million each in 2014. This figure takes into account everything from fines and upgrading of systems to sales losses over the course of the entire incident. Policyholders and claimants often provide very personal information throughout the course of the liability investigation and settlement. This commonly includes social security numbers, driver’s license numbers, medical history, and much more—data that most people wouldn’t want falling into the wrong hands. Thus, it is the responsibility of insurers and any third-party vendors they work with to take data security very seriously. What Type of Protection Should an Insurance Transcription Company Offer? Insurance transcription companies are one of the most commonly used third-party vendors in the claims process. In order to ensure that all information is properly secured, a provider must do two things: (1) Have a plan for the time in which they are working with your files, and (2) Have a secure disposal procedure for deleting or destroying customer data once a project is complete. Quality transcription companies will generally provide clients with a basic working knowledge of the security of their system. This includes what type of encryption they offer and how long they keep files before appropriately destroying them. Other details might reveal their staff non-disclosure policy or similarly related tidbits pertinent to the handling of files. But the common denominator among insurance transcription firms that take data security seriously is that they are willing to offer insight into how your audio recordings and transcripts are protected. What Are Some Ramifications of Working with a Subpar Recorded Statement Transcription Provider? 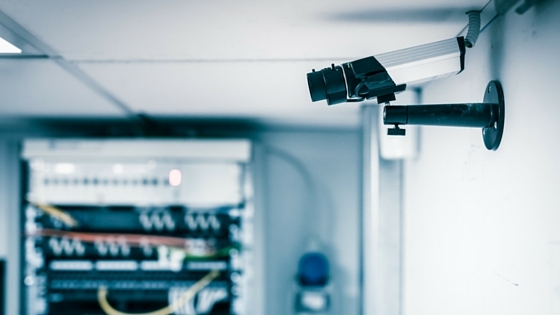 Failure to hire a company with strong security measures in place and appropriate safeguarding technology can mean a costly breach for your firm. Besides identity theft, working with an insurance transcription company with subpar data security procedures could mean that information about your customers could end up being released to those that have no business having it, including competitors and adverse carriers working on the opposite side of a claim negotiation. This isn’t something you want your company to endure, especially if the situation could have been avoided by properly vetting your vendor. So, how exactly do you find an insurance transcription partner you can trust? When interviewing firms, ask lots of questions about how they work to ensure information is secure during the recorded statement transcription process. Find out how long they keep audio recordings on their system and what the generally procedure is for destruction of data. Also, inquire whether they store data offsite in case of a disaster and how that process in handled. At Allegis Transcription, we take data protection very seriously. In nearly two decades of doing business, we are proud to say we have never experienced a data breach. Our enterprise-grade security system ensures our client’s sensitive information is protected from the moment an audio file arrives until the last traces of a transcript are removed after completion. We regularly scan our system to look for any vulnerabilities and ensure everything is as secure as possible at all times. In addition, our Chief Information and Security Officer constantly works to ensure our process stays current and continues to operate in a manner that fully protects our clients’ sensitive information.